There’s nothing better than that feeling of the cool breeze flowing across your skin and thanks to Breezair, number one in natural cooling you can enjoy the natural glorious feeling of the breeze in your own home. Breezair takes the heat out of the air so you have cooler air and a soft breeze through your home naturally and efficiently, cooling your whole house and completely refreshing the air every 2 minutes. You will save you money right from the start when purchasing and installing a Breezair evaporative system and it’s natural cooling effect uses up to one eighth of the power of refrigerated and reverse-cycle air conditioners so Breezair could save you a fortune over the years. The whole Breezair has been built to last with the Tropic Proof Motor designed and constructed for hot, moist environments and a 25 year warranty on the cabinet. Breezair gives you healthy, fresh air not that stale smelling stuff you can get from refrigerated and reverse-cycle systems because with Breezair you’re part of the environment. You can keep the windows open and you don’t lock yourself away in a sealed room. 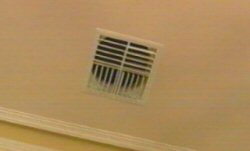 You can install security vents if you’re worried about safeguarding your home or program the Breezair to cool the house before you get home. Some people have problems with allergies and Breezair can help with this as well. Your home will not only be filled with cooler air but it’s also cleaner, filtered air with fewer pollens and less dust. The Clean and Dry function automatically drains the water, so there are no pools of water for algae to grow and no seasonal maintenance either! Everything about the design and construction of Breezair makes it an ideal addition to your home for this summer. It cools, refreshes and cleans the air in your whole home while keeping neatly out of the way in the roof cavity. We all want to keep our families safe and healthy, and make choices about what they eat and drink, so why not choose what they breathe at home as well.